"Every photo app you've ever needed, wanted, or dreamed of is now available in one beautifully designed photo editor!" This is the starting premise of the new Enlight picture editor for iOS, and we have to say the folks behind it have done a pretty impressive job indeed. Not that there is a shortage of photo editing options in the App Store but an awful lot of them are rather sluggish, as they usually teach an old dog new tricks, i.e. use repurposed rendering engines that often choke on the sheer amount of imaging algorithms they have to process. Well, that ship has left the port with Enlight, as it has built its engine and processing from scratch, making even complex edits in a jiffy. 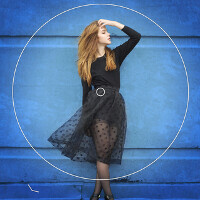 On top of speed, Enlight offers all the bells and whistles you can expect from Lighttricks, the makers of the sixth best-selling paid app of 2014, like cropping, filters and various effects, all in an intuitive, easy to apply manner. Check it out from the source link below, and tell us what you think about the newcomer. Looks awesome... So far my favorite Image editing in android is Autodesk Pixlr, though the ads are a bit annoying and this seems to beat it in some aspects.